Advocacy videos can be a powerful tool in conveying a certain message, especially so when they feature personal testimonies. They can be shared via social media and reach a wide audience. On 13 February 2012, experts from civil society came together in Oslo, Norway, to create the Oslo Declaration on HIV Criminalisation. This is their endorsement. In October 2014, a consultation on police and HIV took place in Amsterdam, The Netherlands. 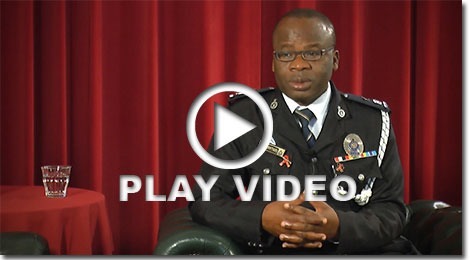 The interviews in this video are with some of the country focal points of the Law Enforcement and HIV Network (LEAHN), each of whom is a serving or a retired senior police officer, and each of whom is committed to ensuring that the police make a positive contribution in their countries and the global HIV response. SPRING BOARD is the revival of the ’HIV buddies‘ idea. People living with HIV who have been diagnosed a long time ago, act as ’buddies’ to help newly diagnosed people come to terms with their infection. This project is a direct outcome of the German PLHIV Stigma Index. With this video the project is calling upon people with HIV to join as buddies. The video was conceived and filmed over one workshop weekend. In this project, where people with HIV interviewed other people with HIV about their experiences of HIV-related stigma in their everyday lives, we interviewed some of the interviewers in order to better understand the process and how it impacted them.